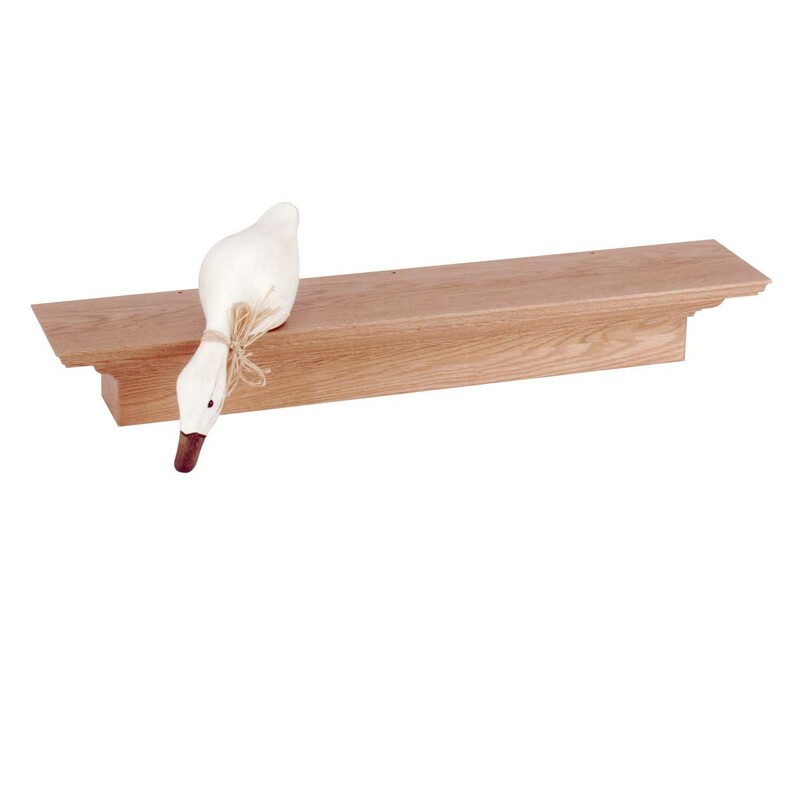 Oak Mantle Shelf. Made of solid oak. 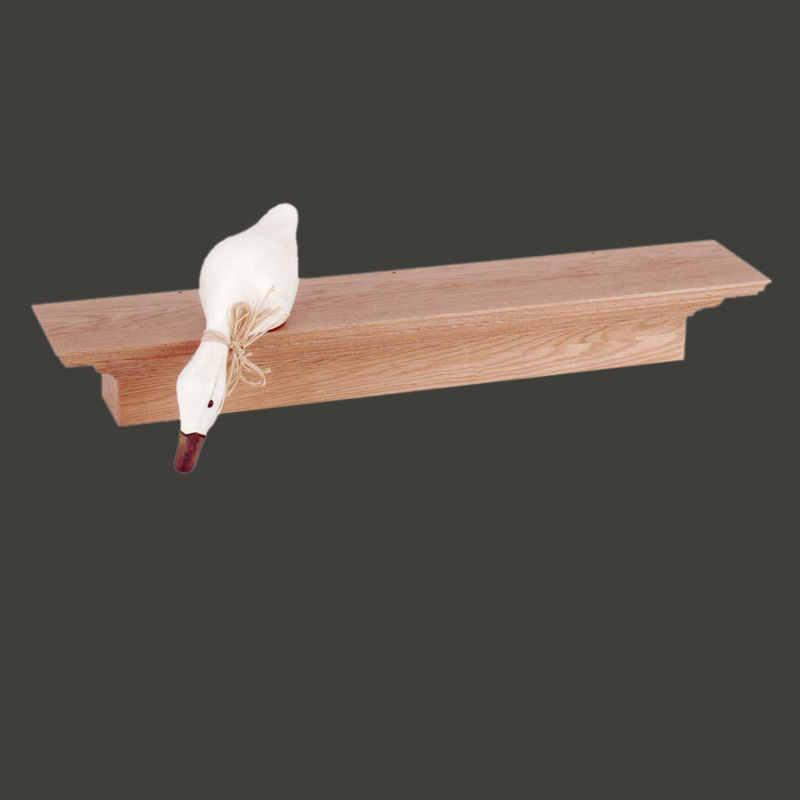 Add a shelf anywhere to display framed photos or treasured collectibles. Easy to mount. Natural stain finish, Measures 4 in. H x 30 in. W x 6 in. proj.